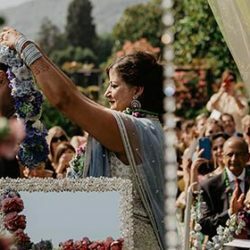 Wedding video in Pallanza lake Maggiore: bride arrived by boat! 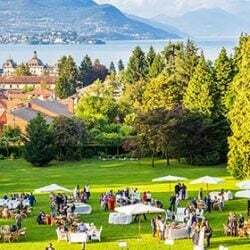 If you are thinking about getting married in Pallanza on Lake Maggiore with Aaron and Elizabeth’s wedding video – by PHOTO27 MOVIES – you will get a lot of ideas! Bride arrived by boat as many of our brides do on Lake Orta to reach Villa Bossi. In this case it was not a common boat but a real Lake Maggiore fishermen rowing boat! After her preparation at Grand Hotel Majestic, Elizabeth got on the boat to reach Pallanza lakeshore. Then she walked to Church of San Leonardo where the ceremony was held. A very nice idea to consider! For their reception Elizabeth and Aaron chose Villa Rusconi Clerici, just like Loretta and Scott did 2 years before. Style and elegance with a lot of fun!